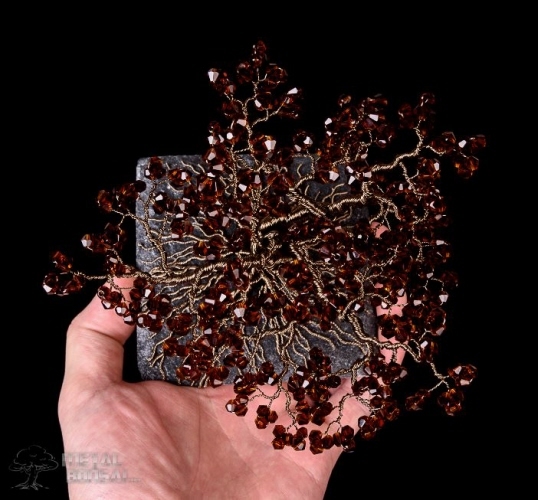 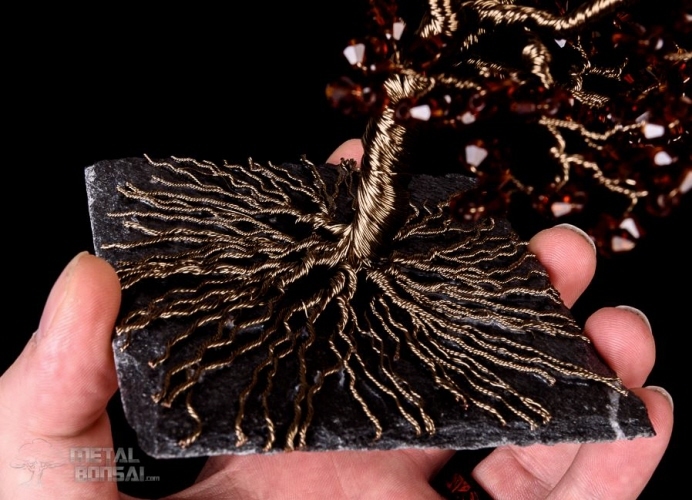 This wire tree sculpture is made of glass faceted beads and wire. 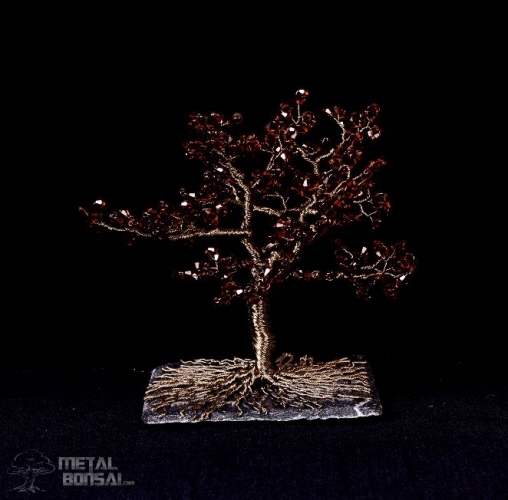 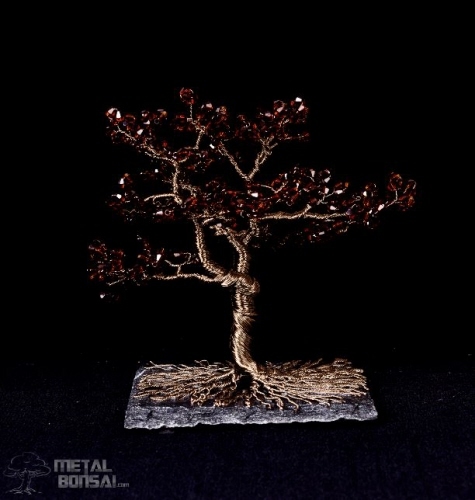 The brown/ amber coloured beads look great against the gunmetal branches and trunk which then flared out into a dramatic root system. 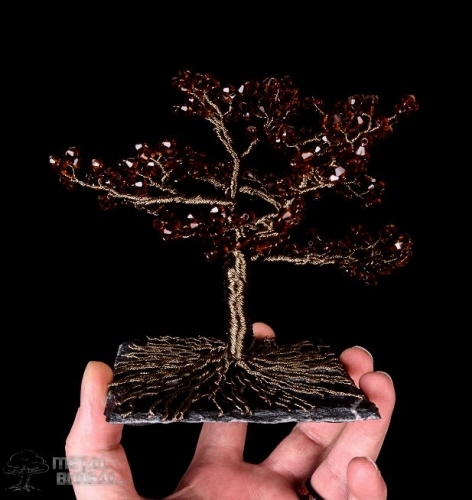 This tree sculpture sits on a slate base for balance and stability.